All these Advanced English Conversation podcasts are based on REAL ENGLISH CONVERSATIONS with native English speakers. There’s no better way of improving your English than listening to Advanced Conversations in English. You can download all the audio conversations here for free, or subscribe to our English podcasts in iTunes. If you’re not Advanced Level, we also have Intermediate English Podcasts here. The Intermediate and Advanced podcasts both contain REAL English Conversations. 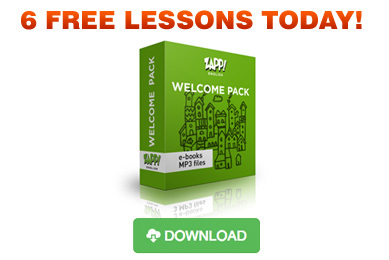 These audio downloads are perfect for Advanced English Conversation Practice. The e-Books include: a full transcription of the conversations and audio lessons, vocabulary lists with definitions and additional practice exercises. You can download the e-books as part our Zapp! English packs in our shop.